Castel is the story of a family held together by strong ties which have made their very name into a brand. Three generations constantly committed to an initial set of values: the democratisation of wine and building the success of the properties they have acquired over the decades. Castel are owners, wine-makers and traders with commercial activities throughout the world, always applying an ever-unchanging rule: be aware of the market and above all remain loyal to the family philosophy of "making quality wines that are accessible to all" to quote Sophie Castel, the exterior relations manager of Castel Châteaux & Grands Crus. If the company has built an empire with its internationally famous brands, it has done this by investing in French vineyards over the years, it now has 19 exclusive properties (the majority of which are located in its home region of Bordeaux) under the name Châteaux & Domaines Castel, and Château Beychevelle, the classified Saint-Julien Grand Cru acquired in 2011, their holdings equal those of the Japanese group Suntory. All of this now represents over 1,000 hectares of vineyards. A large selection of Bordeaux and other Grands Crus has been added to their original family estates. Today is a time for premiumisation in the spirits industry. And this means defying perceptions, building product ranges and re-conquering consumers that have become lost in a labyrinth of different labels. Thus they have established particular commitment to the Toques Blanches Lyonnaises, Castel building strong relations for the promotion and exchange of everything related to great wines, associating wine-growing expertise with those of gastronomy and the sommelier profession. 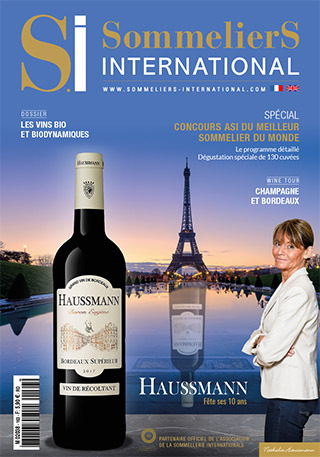 “After 3 European editions of the 'Châteaux & Domaines Castel Sommeliers Cup', this November we will be launching the first Asia-Pacific edition in collaboration with the Hong Kong Sommeliers Association”, Sophie Castel told us. Castel has had to make decisions to deal with these new challenges. The first approach is that of developing a close network of relations between 'terroir' and environmental issues. At Château Montlabert in Saint Emilion, a property acquired 10 years ago, we have been draining, working and grassing over 13 hectares of land. The secrets of small harvests, ideal grape ripening and advice from Hubert de Boüard have contributed to completing this process of creating such a delicate and precise balance. And we use the same approach in Beychevelle in the Medoc region, this is the fourth-rated Grand Cru in the Saint-Julien appellation where the new Arnaud Boulain designed 'chai' receives the production of 90 hectares of vineyards.. And the same precise care is used with the Terra Vitis labelled grapevines. In short, at Castel our heritage is about sharing, promoting and preserving; each generation must confront the challenges of its time. And the story is far from finished. Christophe Marguin is the President of the Toques Blanches Lyonnaises, an association which currently brings together 115 of the region's chefs and pastry-chefs, he is committed to a collaboration with the Châteaux and Domaines Castel which is based on a shared philosophy. What attracted you most to the Castel Châteaux & Grands Crus proposition? What interested us was the diversity of the vintages they propose and the reliable quality of their wines. Our association covers everything from the Bouchons of Lyon to 3-star restaurants and we need to cover the whole of that kind of range of gastronomy! That way the chefs can be completely free in their choices. A few years ago, sudden increases in the prices of the classified Bordeaux Grand Crus gave that region an image of inaccessibility leading us to forget that the region was quite capable of producing wines that are both affordable and of the highest quality. That is exactly what the Castel family do, they have managed to find and acquire very singular properties and 'terroirs' and bring them into the spot-light. And the little extra? Castel has a very dynamic structure and staff entirely dedicated to the development of relations with chefs and sommeliers; it allows them to contribute to the strong reputation of Lyon's culinary arts. What are Castel's commitments as regards sustainable development? As a family of wine-producers, the issue is totally unavoidable. Our global sustainable development strategy started in 2010 with a quality control management system bearing ISO 14001 standard certification, and for all of our properties with the implementation of the Terra Vitis certification, since the required specifications were especially interesting. It involves every stage of the process from growing the grape to making the wine; it is more a global approach than an organic farming certification. And that's what interested us. It helps us to move forwards and get to know our 'terroirs' even better. These days we look more closely at the land, we seek out the best ways to encourage natural defences and restrict the use of synthetic products. Our Clos des Orfeuilles, Muscadet Sèvre and Maine sur Lie, property has been certified BIO since 2012 and Château de Haut Coulon has begun its conversion process this year. All of these approaches combine to feed and enrich Castel's CSR strategy.